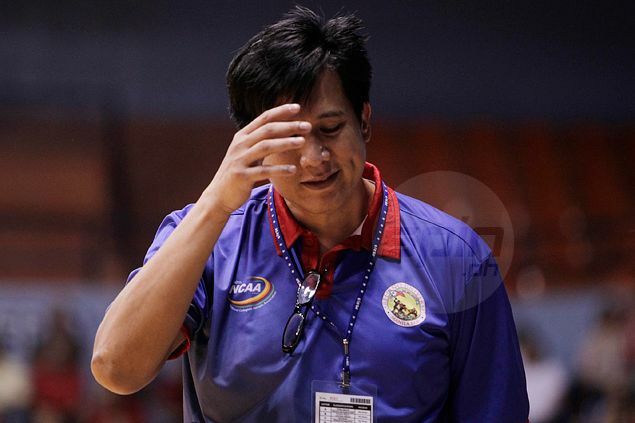 ARELLANO coach Jerry Codiñera is bracing for the possibility of missing key player Keith Agovida in the Chiefs’ Final Four matchup against Jose Rizal University on Wednesday at the Mall of Asia Arena. Agovida is facing suspension after committing an unsportsmanlike foul late in the second quarter of the team’s 97-69 loss to San Beda in their playoff for the no. 1 seed in the semis on Friday. And Codiñera hopes the rest of his players step up in the possible absence of Agovida, the Chiefs’ third-leading scorer (12.2 points) and no. 2 rebounder (6.4 boards) in the elimination round. “We’ll find a way how we’ll compensate his absence,” said Codiñera, whose team still carries a twice-to-beat edge versus the third seeded Heavy Bombers in the semifinals. The Chiefs and Bombers split their two head-to-head encounters in the eliminations. Codiñera still hopes to get a reprieve from league officials as far as Agovida’s sanction is concerned.